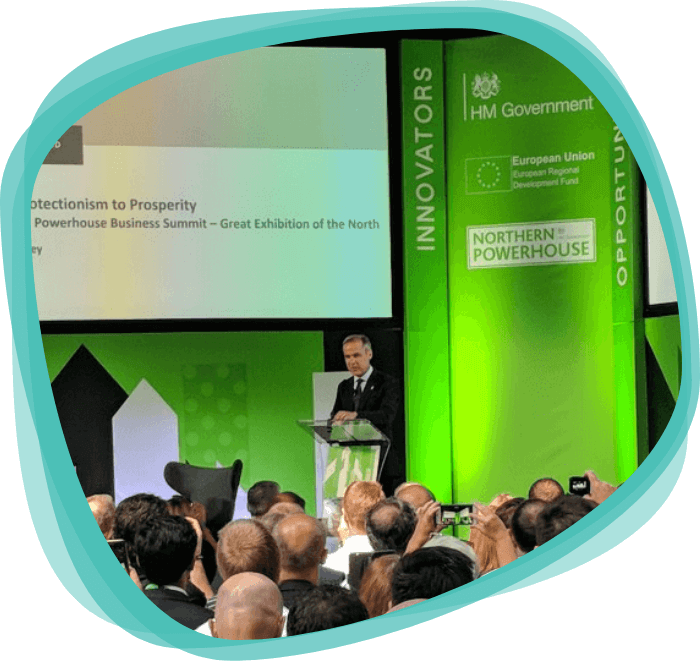 When they had the chance for Mark Carney, Governor of the Bank of England to address their conference delegates, Innovation SuperNetwork didn’t need to think twice! However, he was already presenting the same content at a conference across the city as part of Northern Powerhouse Business Summit. That’s when streamGo stepped in. SuperNetwork worked with us to provide a high quality stream between the two venues featuring crystal clear video and detailed slides. ”StreamGo were great to work with – provided a hassle-free reliable service, keeping in constant communication on the run-up. The live stream was a great solution for our event and I would definitely recommend them as a company! Our specialist webcast team conducted detailed site visits at each venue to organise and integrate seamlessly with two different AV teams while also organising technical logistics. Nothing was left to chance – we specialise in high-profile, fully redundant streaming – exactly what’s needed with such a flagship event. Our team were at both venues to cue presenters on stage and ensure complete harmony in timings between both venues. With Mark Carney being such a high-profile speaker this stream was never going to disappoint – and it definitely didn’t! Attendees at the remote conference were both surprised and impressed with such a public figure – little did they realise the work involved. The client was able to feature an exceptionally senior leader at their event, adding wow and scale at a price that didn’t break the bank.